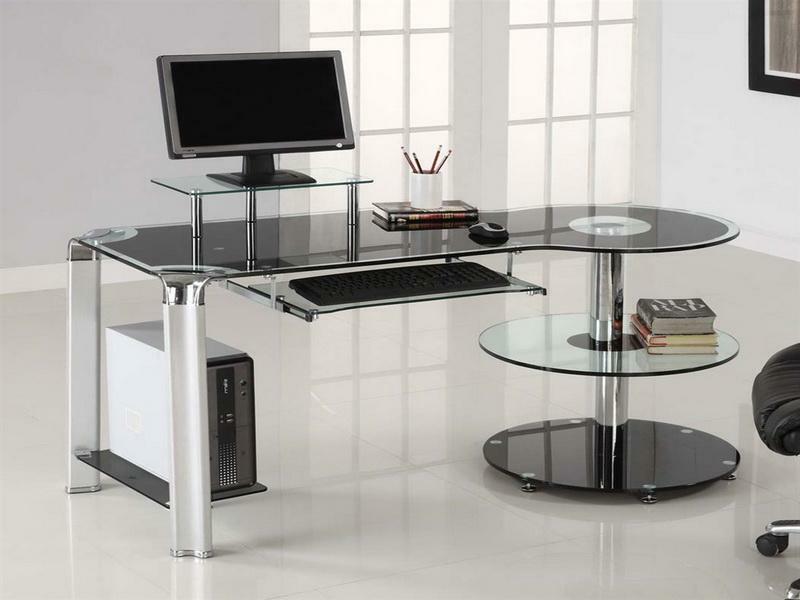 Glass table tops are a great choice for smaller rooms because the visually minimize the furniture in the room. If you have a small space, use smaller furniture that scale with your living space. Furniture with legs appears less heavy than furniture that sits directly on the floor. Clear furniture makes the living space appear larger. Add a little character to your glass table top by adding a table runner, place mats, fruit bowls or candle center pieces. Round glass table tops make a room appear larger and can seat more people. A square glass table top can give a smaller space some cohesion. Smaller spaces need to be kept clean and clutter free. Organize so every item has its place. Glass front bookcases add to an organized look. For some reason things look more organized if they are behind glass. Add a large mirror to give the appearance of more space.